MELBOURNE, AUSTRALIA (March 11, 2019) – Nautique team athletes took home top honors this weekend during the 59th Moomba Masters waterski and wakeboard event in Melbourne, Australia. 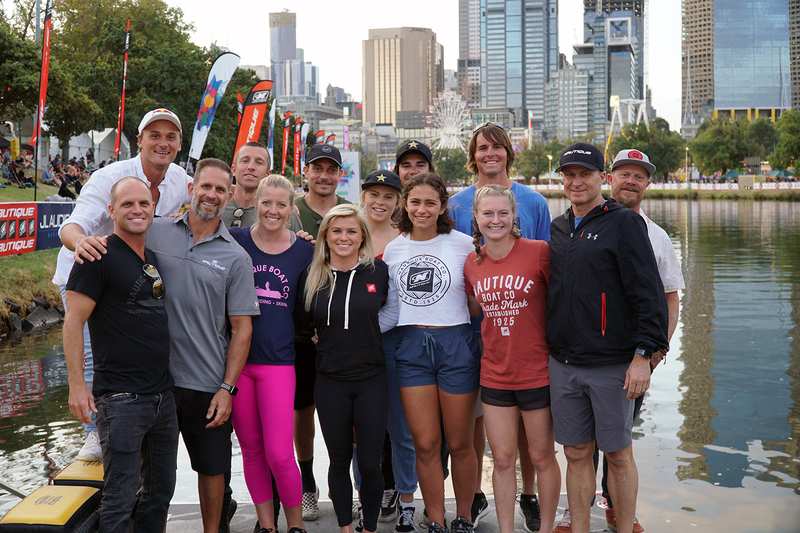 Towed behind the record-breaking Ski Nautique and award-winning G23, the top athletes from around the world met on the Yarra River in downtown Melbourne to battle it out for 2019 Moomba Masters titles. In the Men’s Wakeboarding division, it was Cory Teunissen in his debut event as a Nautique athlete taking the top podium spot. The Women’s Trick podium was a sweep of Nautique athletes Anna Gay took home first position, with Neilly Ross and Erika Lang in second and third place respectfully. Whitney McClintock grabbed the first position on the Women’s Slalom podium after some incredible passes down the Yarra River. During the Women’s Jump portion of the event, it was Jacinta Carroll continuing her reign by launching behind the Ski Nautique to find herself on top of the podium.